Vocabulary: Monday, Tuesday, Wednesday, Thursday, Friday, Saturday, Sunday. Click the image to download flashcards for days of the week. 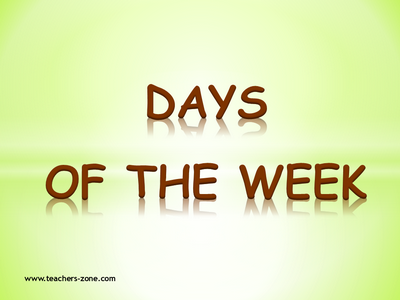 Click here to download days of the week flashcards with phonetic transcription.